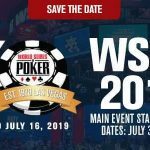 PKR Poker have announced their “unique” qualifying schedule for this summer’s World Series of Poker (WSOP), with the 3D poker room offering incredible $4,500 packages that can be won with minimal outlays of less than $1. However, unlike the majority of prizes on offer from most poker websites that provide entry to the $10,000 buy-in main event in Las Vegas, PKR qualifiers take possession of wonderful WSOP Experience packages. These seven-day packages supply $1,500 for travel and spending, access to several VIP events – including the official PKR Vegas party, pool party and a 4th of July dinner – as well as six nights’ stay in a top Vegas hotel, a goody bag, and, most importantly, entry to WSOP event #59, a $1,000 buy-in No-Limit Hold’em tournament. Now in its third year, PKR’s WSOP Experience really is a fantastic prize, with players at the dynamic poker room able to begin their path to hoped-for glory beginning in satellites that range from $1 all the way up to $245. However, if you don’t want to spend even 1¢, PKR are offering lottery satellites that start at 700 PKR Player Points (PPs), so there really is no excuse for not taking that shot at glory. Simon Prodger, PKR’s marketing director, emphasised that they believe the WSOP is much more than just the main event as the opportunity to enjoy the atmosphere in and around the Rio All-Suite Hotel & Casino should be savoured to the full. As ever, we are once again rolling out packages in our own unique way. The PKR WSOP Experience is all about hanging out at a host of cool events and having an amazing time as well as playing in a World Series event. 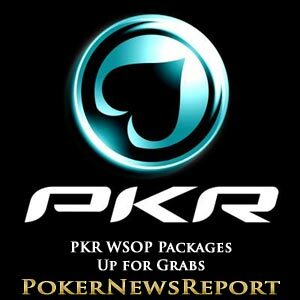 The PKR daily and weekly satellites are already running, so take a visit to pkr.com, check out the lobby and sign up for whichever level of qualifying event you fancy in the hope of enjoying the Vegas party of a lifetime. Additionally, PKR Poker customers can play in the poker room’s WSOP Vegas Nights speed events – which run every day and offer competitors qualification for a special WSOP Experience freeroll.